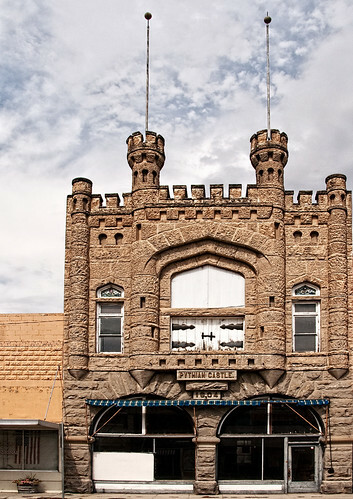 The Pythian Castle is Weiser's major architectural landmark. Built in 1904 for $9000, the richly textured and sculptured stone work exhibits a high degree of craftsmanship. Its crenelated medieval castle design demonstrates a richly imaginative styling. Located at 30 E Idaho St, Weiser, ID.